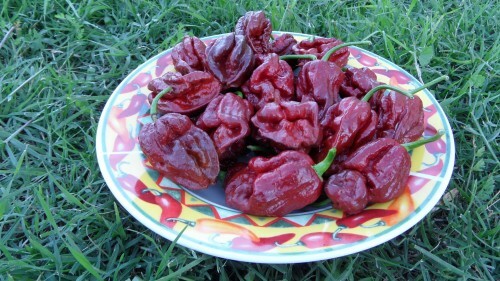 The Trinidad 7 Pot Douglah is a Chocolate type of 7 Pot that has been rated over 1,000,000 Scoville Units of heat. It may possibly break the record in the future. You are purcahsing 6 dried peppers for $5.99. Keep away from children and handle with care.